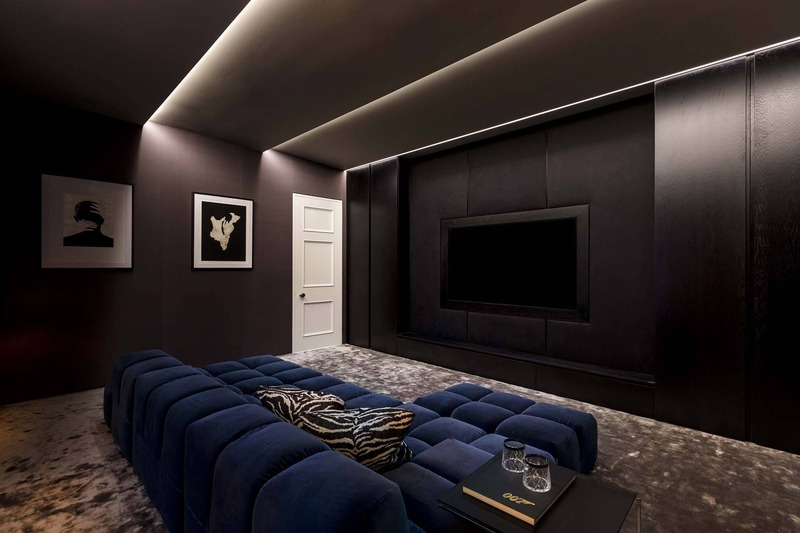 The brief for this three-storey private neo Georgian house was to create a contemporary design, in stark contrast to its exterior that would suit all occasions; a house to live in, entertain in and indulge within. 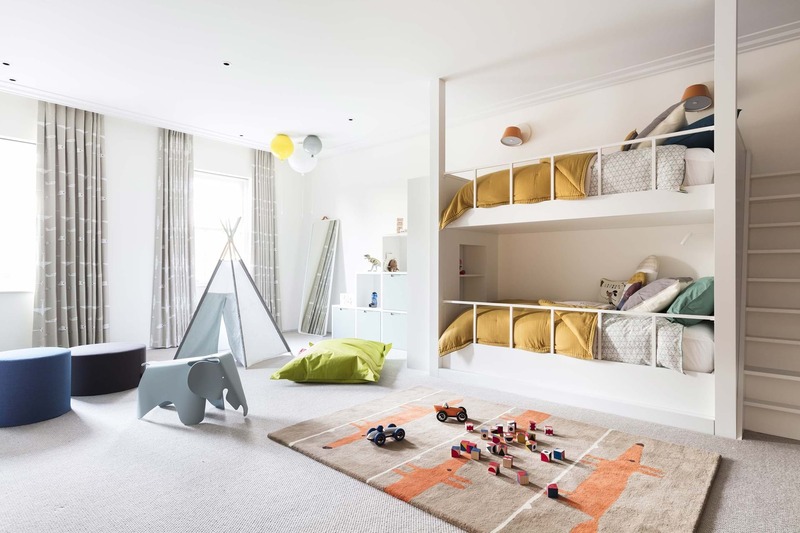 A clean, modern, show-home aesthetic yet functional and child friendly. Our concept has been driven by this relationship between contrasts, with a narrative that uses the constant interplay of opposing forces, whilst paying homage to the archetypal bond villain: the modernist architect. This relationship famously derived from Ian Fleming’s disdain of modernist architecture resulting in perhaps his most famous villain Goldfinger. 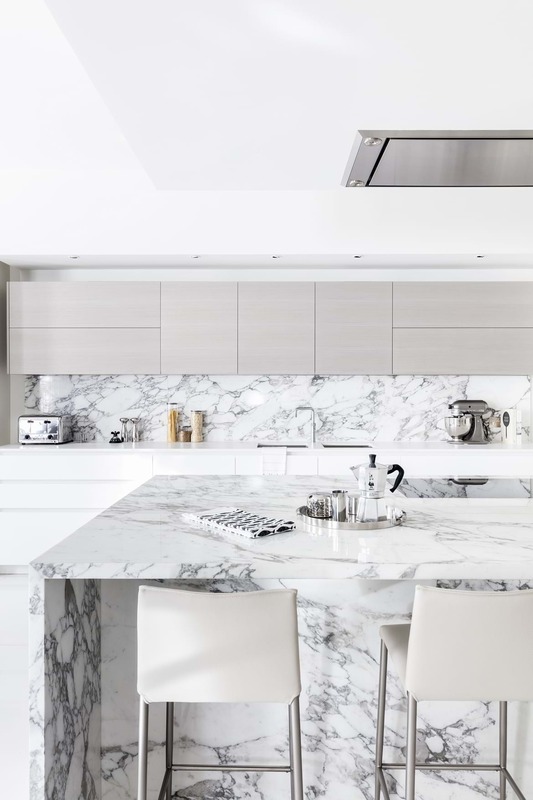 A marble clad feature wall with corner fireplace and recessed TV embodies the desired aesthetic whilst the minimalist Dada kitchen is both modern and functional. 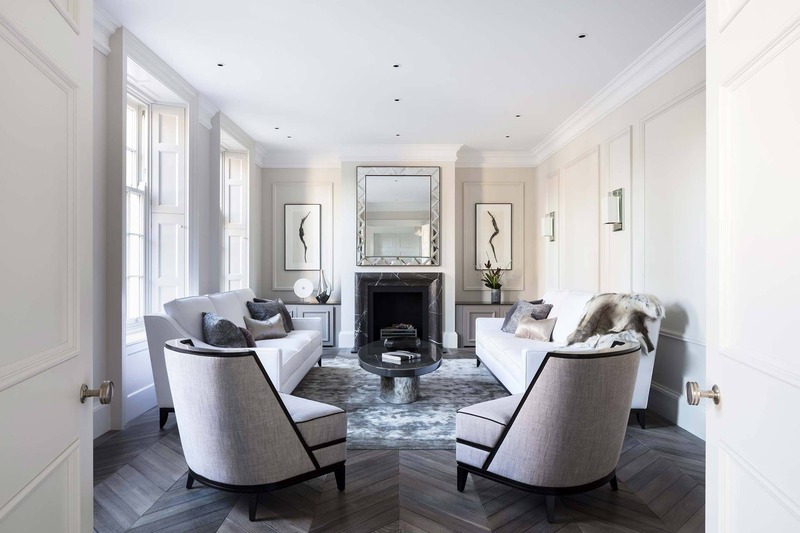 It has been meticulously designed in a modular formation to fit within wing walls and for sections to be concealed within pocket doors.